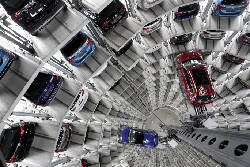 WASHINGTON — A meeting between President Donald Trump and German Chancellor Angela Merkel on vocational training Friday offered further evidence of the first daughter's influence in the White House. 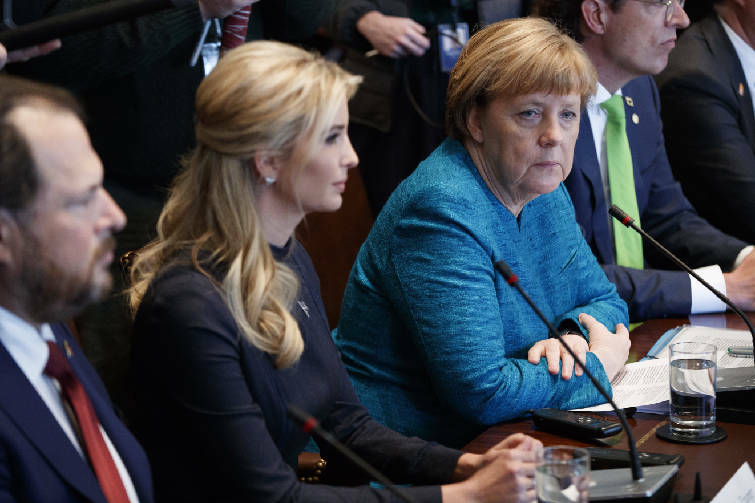 A White House official said Merkel's staff reached out to Ivanka Trump about setting up the meeting. 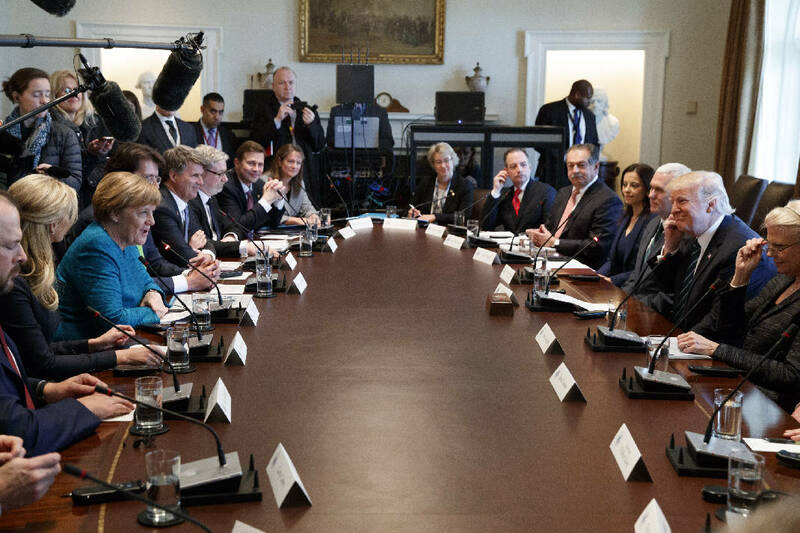 During the session, Trump and Merkel talked with American and German executives and discussed how companies can better train workers. In his opening remarks, Trump said that "training our workforce for the 21st century" was a top priority, adding that "we want to make sure we have the workforce development programs we need to ensure these jobs are being filled by American workers." Ivanka Trump, who recruited the American executives in attendance, guided the discussion. She praised her father's "commitment to creating millions of jobs" and stressed the need for private investment, noting that "ingenuity, creativity often comes from the determination of the private sector." The conversation was focused on vocational training and workforce development, not on the thornier issues of international trade. At the end of the session, Ivanka Trump said the executives would form a taskforce that will provide a report in three months detailing programs that could be expanded and ways the countries can work together. This was the second international workforce meeting coordinated with Ivanka Trump. During Canadian Prime Minister Justin Trudeau's visit last month, she helped organize a meeting on economic development opportunities for women. That came together at the suggestion of Trudeau's office. Participants from the United States included Andrew Liveris, CEO of Dow Chemical; Ginni Rometty, CEO of IBM; and Marc Benioff, CEO of Salesforce. 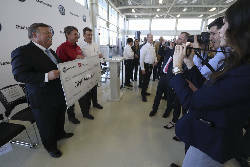 From Germany were Harald Krüger, CEO of BMW AG; Joe Kaeser, CEO of Siemens AG; and Klaus Rosenfeld, CEO of Schaeffler AG. Several students taking part in vocational programs also spoke about their experiences. Attending for the administration were Trump adviser — and Ivanka Trump's husband — Jared Kushner, White House economic adviser Gary Cohn, Commerce Secretary Wilbur Ross, chief of staff Reince Priebus and Dina Powell, who is expected to soon be named deputy national security adviser for strategy. Unlike her husband, Ivanka Trump does not, for now, have an official White House role, but is a regular participant in meetings and events. She moved her young family to Washington when her father took office and has emphasized an interest in working on economic policies that impact women and girls.